Donna joined HeadInvest in 1999. Donna’s career in the investment industry began in 1980 at Conning and Company in Hartford CT. 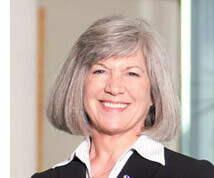 In 1981 she joined Merrill Lynch in Portland. She held various positions at Merrill over 18 years and obtained her Series 7 and 63 licenses in 1993. She holds a B.S. in Office Administration from Bryant University.